I heard the 'chip!' call of the woodpecker while walking by the park today. A female flew to the top of a horse chestnut and then flew into the large trees by the side of the pond. 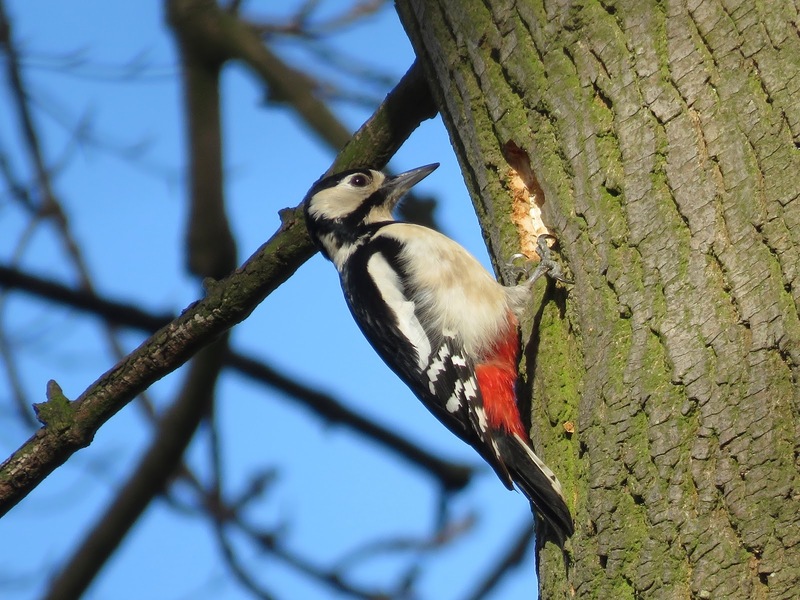 When I relocated her she was on the trunk of a large ash, and, as woodpeckers do she climbed behind the trunk out of sight. I moved to a better location, with the sun on my back and there she was, maybe 8-10 m high on the trunk just under the main branches, expanding a hole in what appeared to be healthy wood, pulling woodchips away. 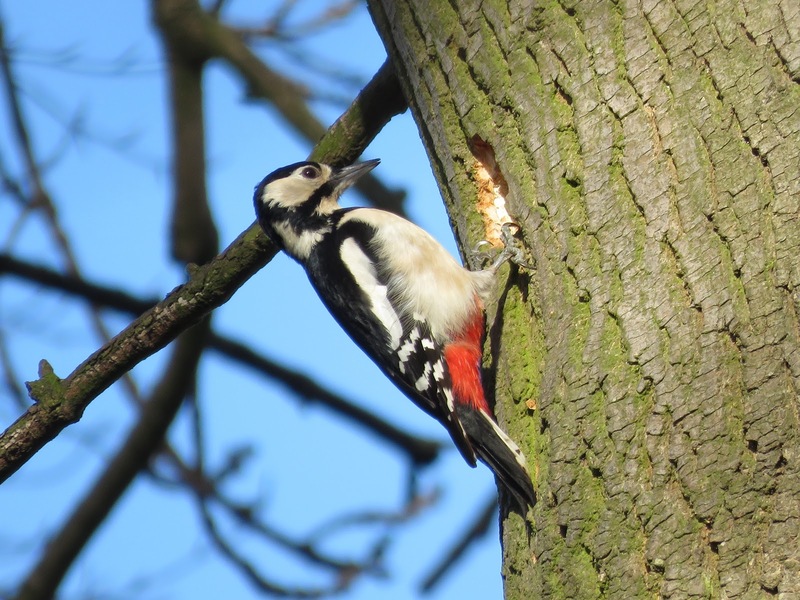 Woodpeckers will dig a new nest every year, which provides suitable nesting holes for other hole birds. Both male and female work together in this hard task, that might take them three or four weeks to complete. She worked away while I took photos, and filmed her, and she was still working when I left. 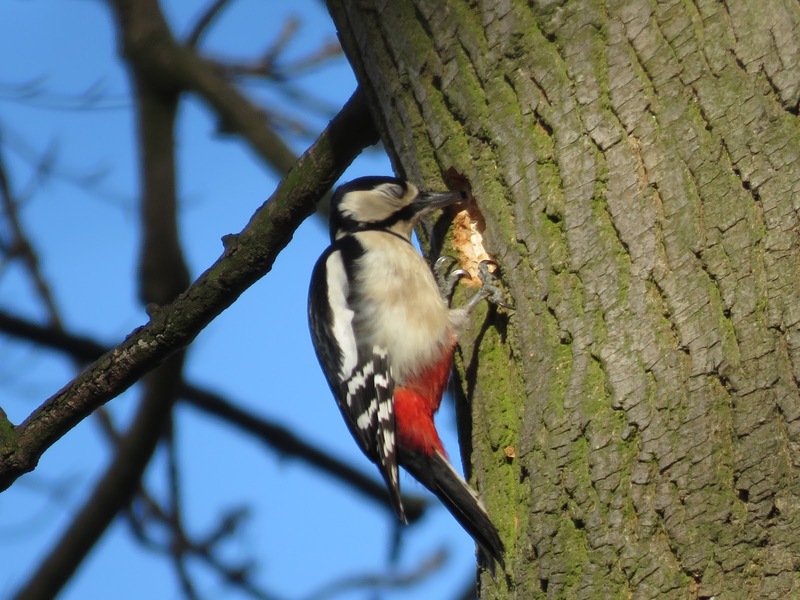 most of the shots I took of chiselling are blurry, but this one captured the moment of impact, and the closed eyes of the woodpecker at this point. The last picture is particularly remarkable. Woodpeckers have evolved several protective mechanisms to avoid damage from pecking: a thick skull with an impact-absorbing spongy bone lining into which the brain fits tightly to stop it from slopping around; a large hyoid bone to reinforce the head; and, as shown here, extra strong eyelids to keep the eyes from popping out. Thank you Ralph, I was surprised to get any photos focused as she was working non-stop. My son watched the video and asked how is it that they don't get brain damage. 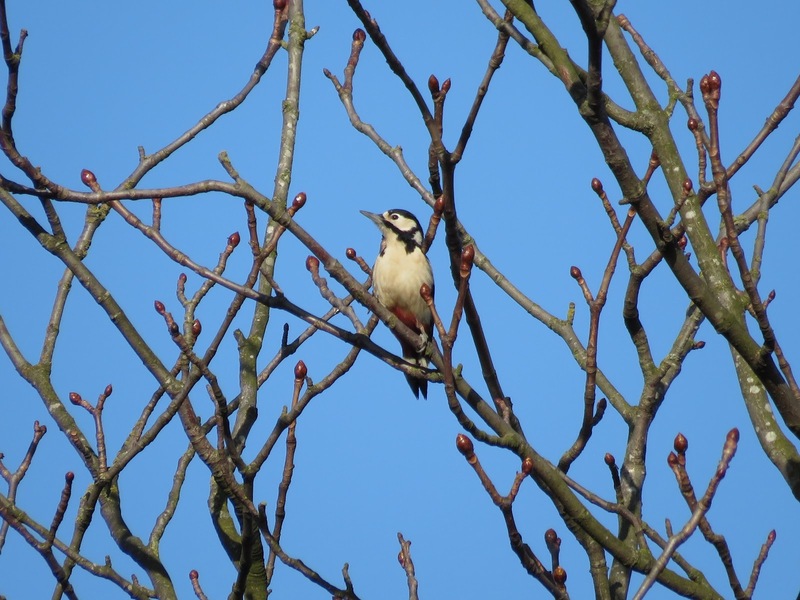 Great Spotted Woodpeckers are in the increase in the area and I have seen evidence of breeding locally, but not at the park. It would be great if they are successful.